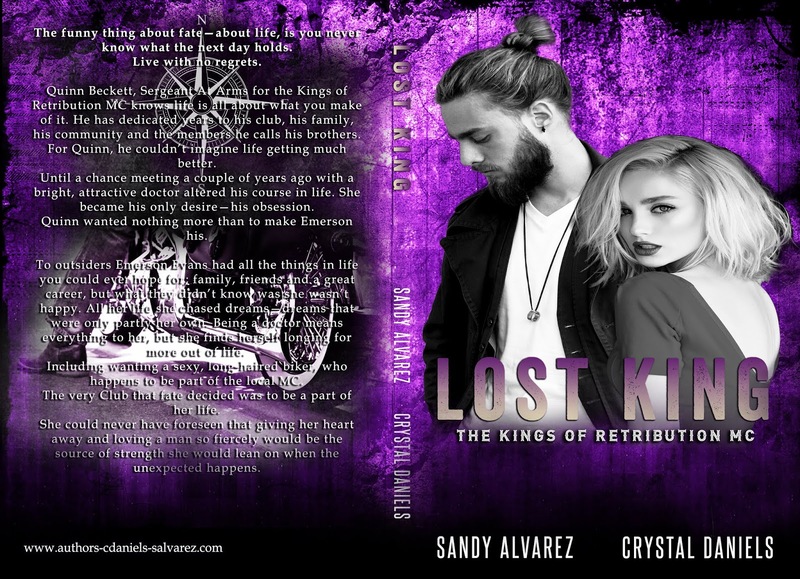 I randomly came across this series on KU a couple months ago and I quickly read them all and waited (not so patiently) for Lost King. Let me tell you this book did not disappoint!! Even though it is part of a series you can read it as a standalone, but I would highly recommend reading the rest of the books in the series for the background. Quinn is a lovable guy, and I love the way his personality shines when he's dealing with anyone, including Emerson, a girl he saw and had to have. I liked Emerson, and reading her backstory really tells you why she is the way she is. She's the perfect match to Quinn, and I loved watching them get their HEA. If you're looking for a low angst romance with a hot alpha, a quick witted heroine and a little bit of suspense mixed in look no further. I loved it (and am not waiting again- not so patiently, for the next installment)!